Download Samsung Galaxy S9 in Hand Mockup. This free mockup template showcases a women holding a Samsung galaxy s9 in hand. A free mockup template will give your mobile ui design a fresh and unique look. This Samsung Galaxy S9 in hand Mockup is absolutely free to download and have the premium look which make your mobile ui design presentation a photorealistic appearance. 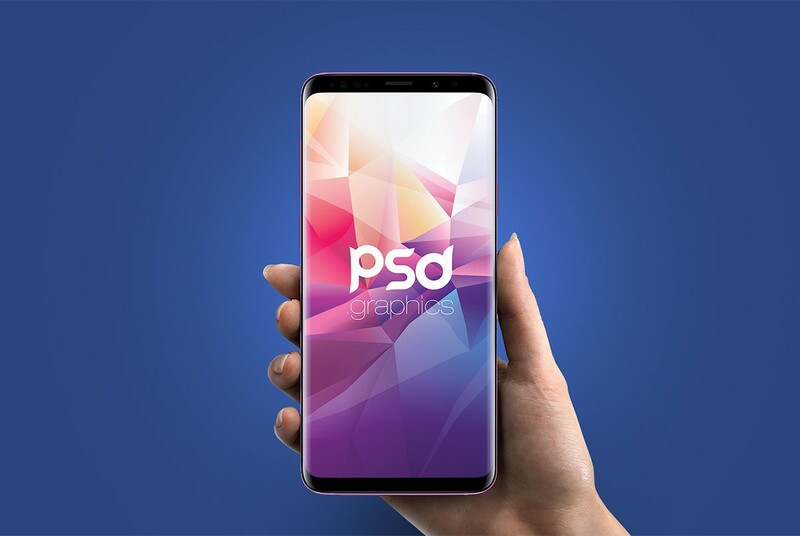 This Free Samsung Galaxy S9 in hand Mockup is completely customizable and you can use adobe photoshop to replace your own design screenshots of your mobile ui easily in few simple clicks. Hope you like it. Enjoy!